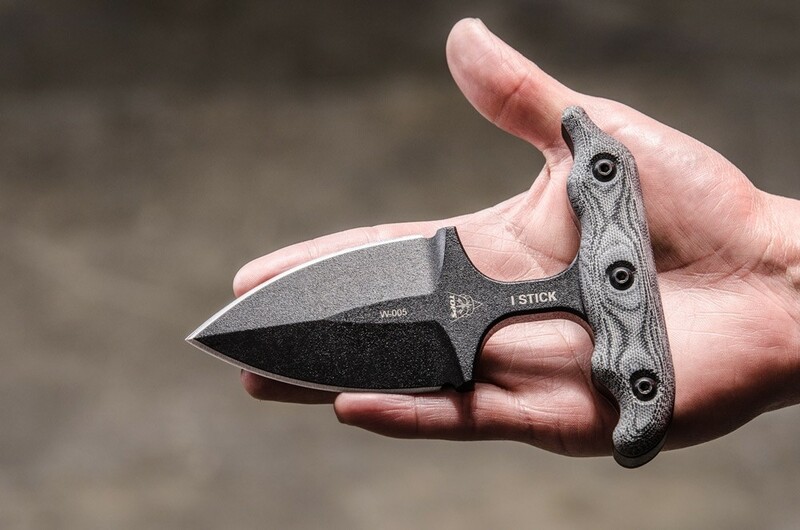 It was designed to do damage. 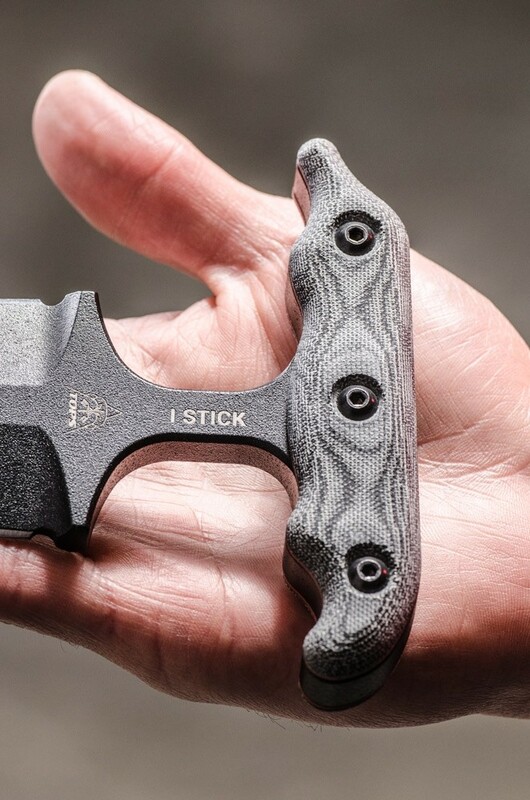 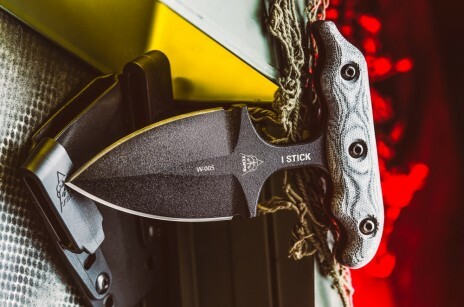 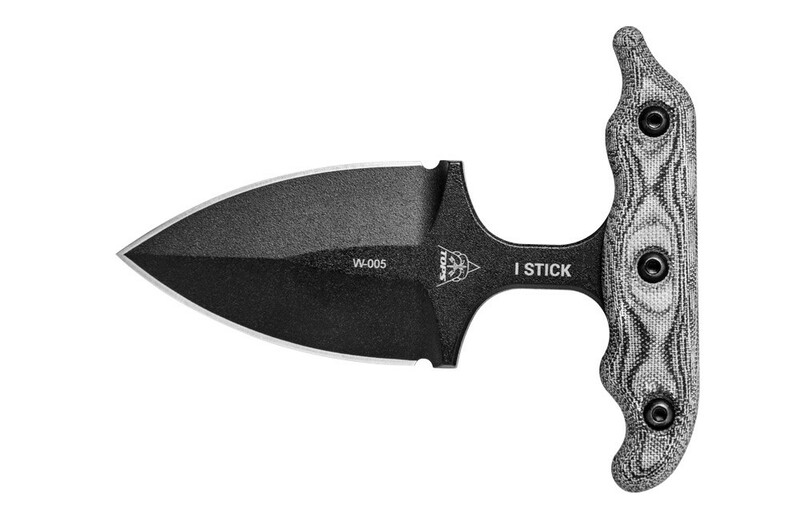 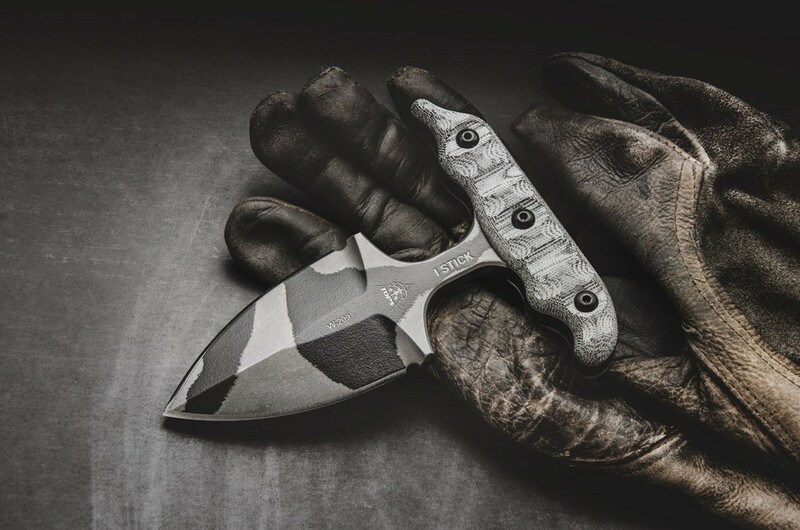 As soon as you pick up the I Stick, you know you’re holding a serious blade. 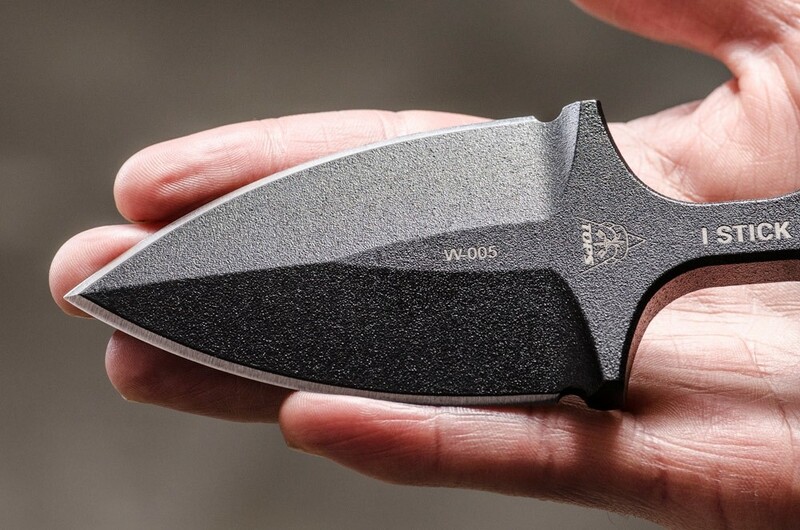 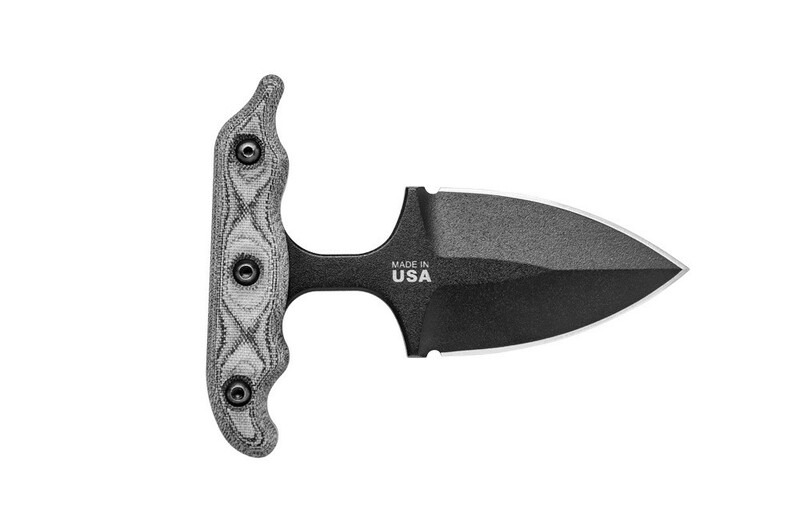 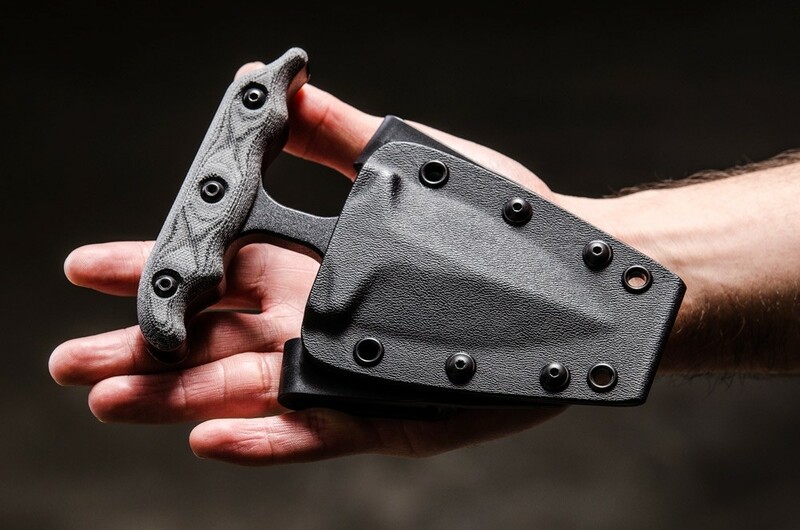 This thing started as a chunk of 3/8” 1075 steel and was morphed into what is probably the thickest push dagger on the market. 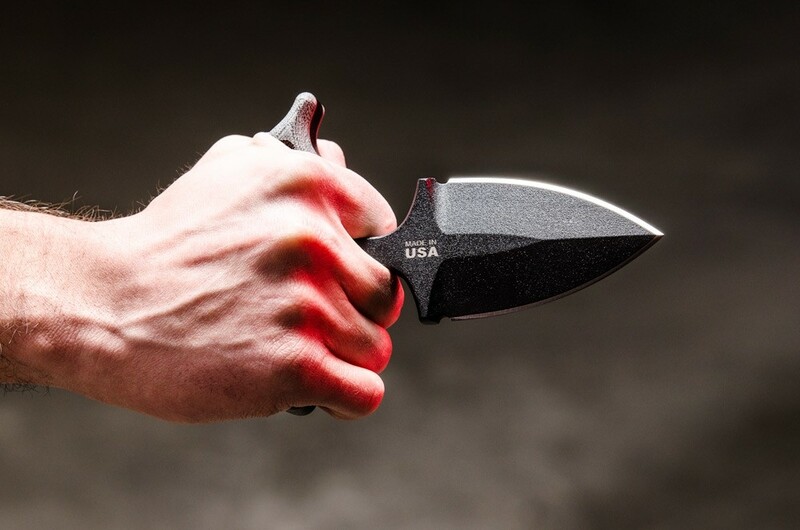 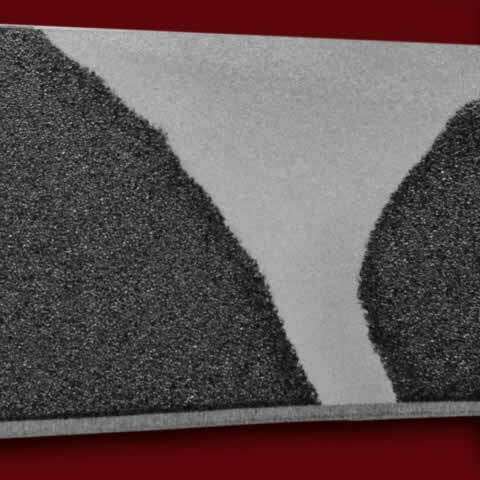 The heft of the knife is on purpose as it was meant to add weight and power to a punch when you need it to stay alive. 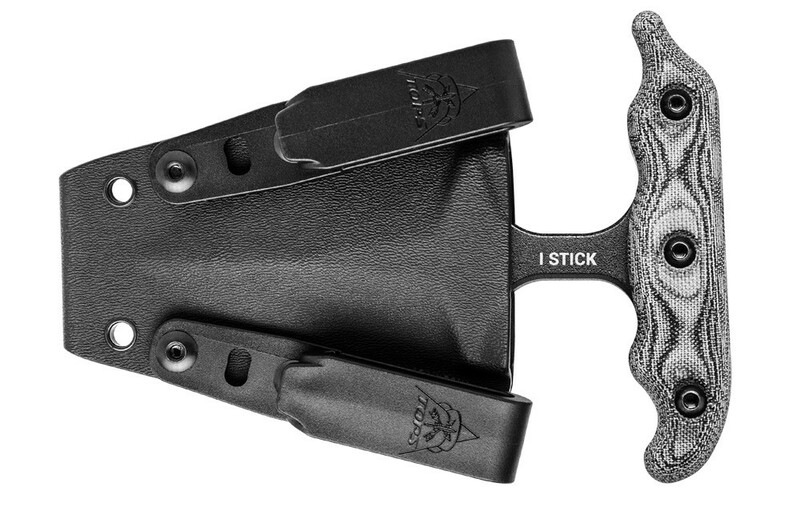 Basically, the I Stick was designed to do damage. 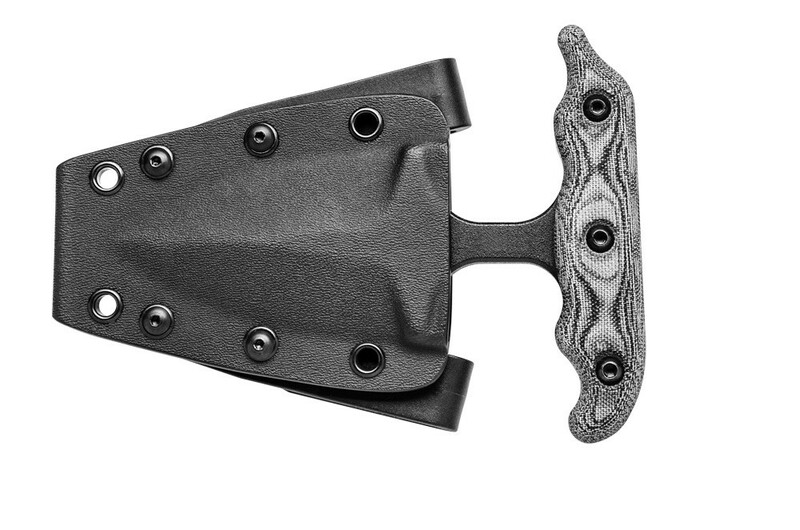 The grip is comfortable with the stem either between the index and middle fingers or between the middle and ring fingers. 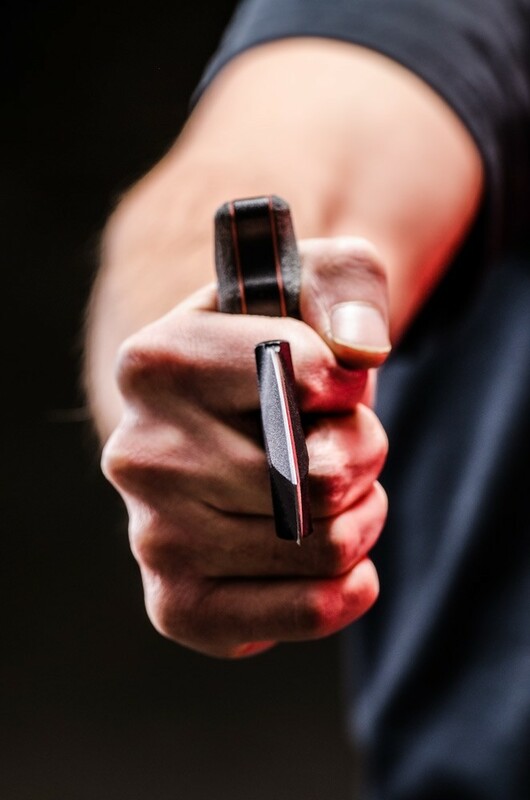 The handles are thick and round to fill a clenched fist and stay put. 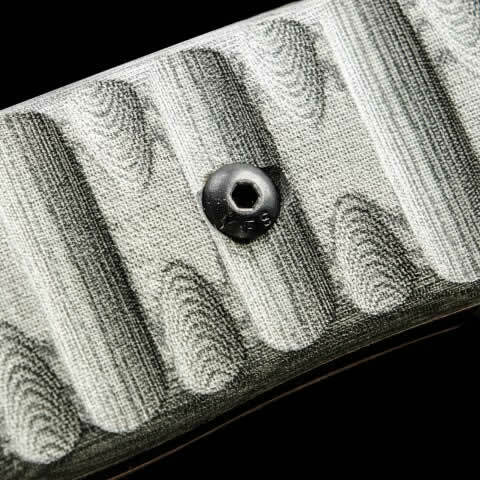 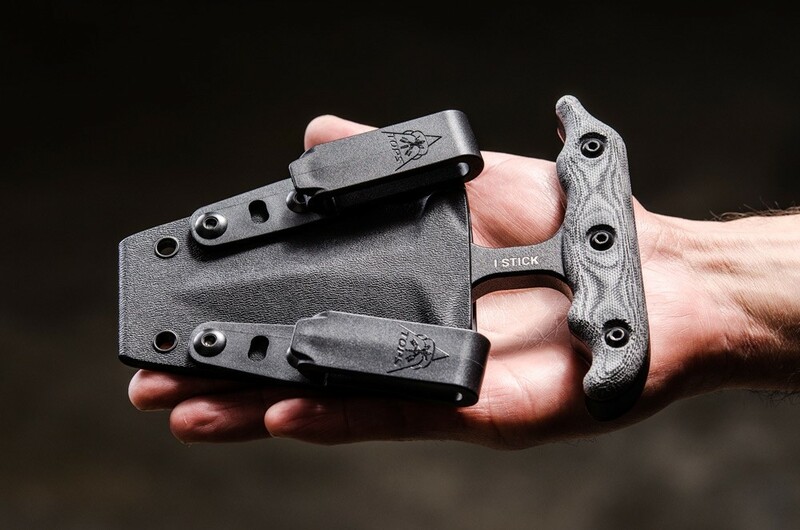 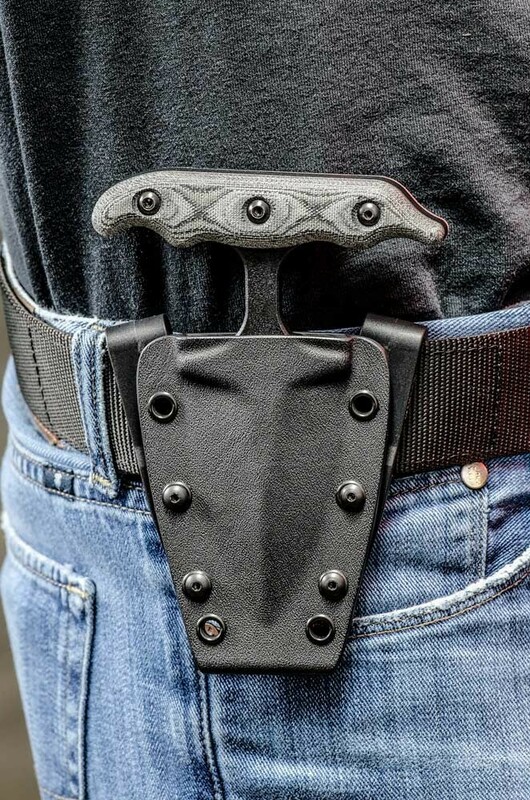 The Kydex sheath sits close to the body for easy concealment and to allow for a full grip on the knife right from the draw. 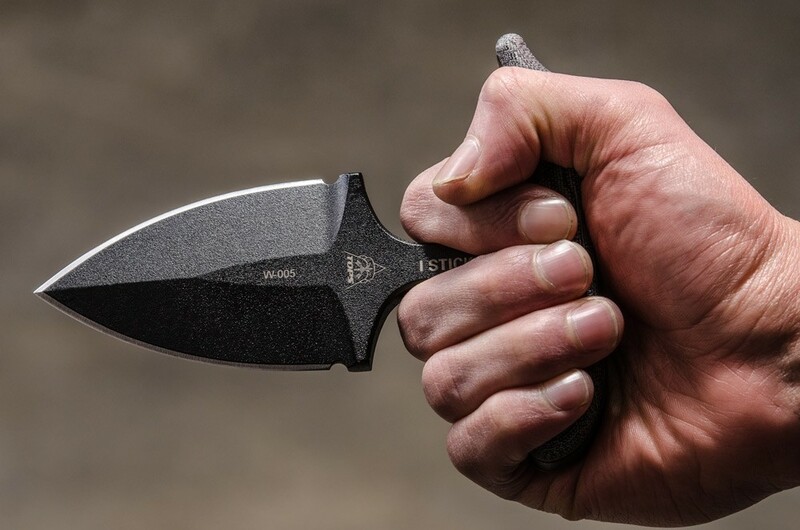 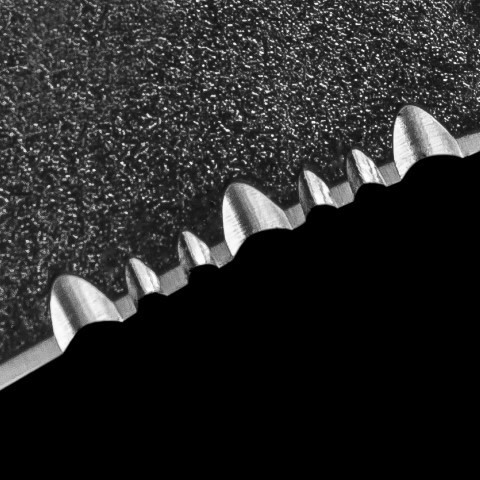 The beauty of push knives is how simple they are to wield for stabbing and slashing in multiple directions. 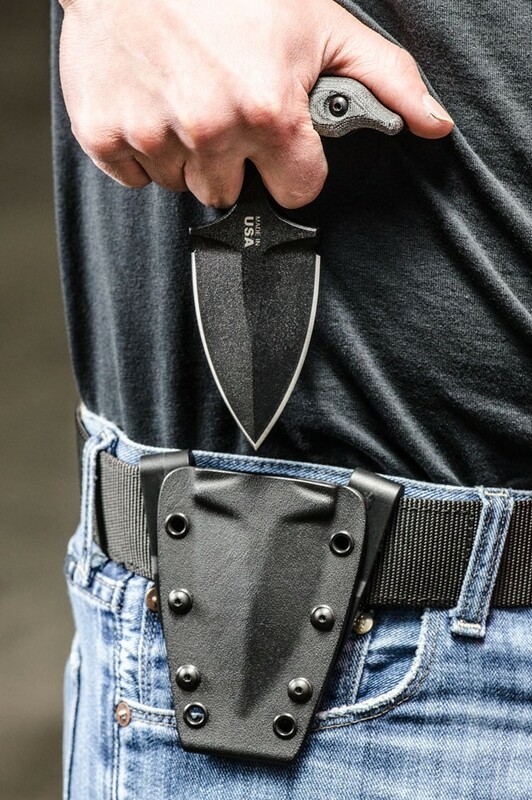 Just grab it and go.